Given the flood of recent details about the next Xbox, Project Scorpio, it shouldn’t come as a surprise that a formal launch is on the horizon. Today, we have a date: June 11, a couple of days before the E3 exhibition in Los Angeles begins. 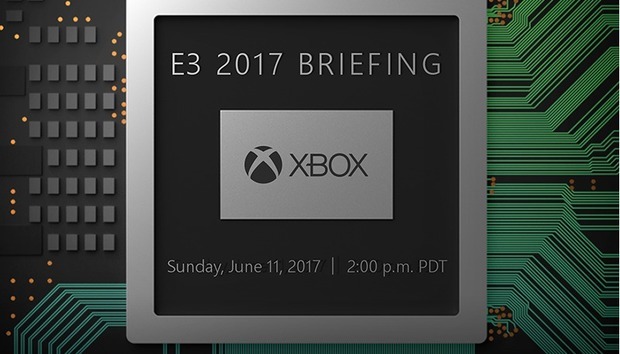 Given that it’s E3, which focuses on console gaming, Microsoft was expected to talk about Project Scorpio anyway. But Microsoft is committing to a full unveiling at the show. “We’re excited to unveil Project Scorpio and the amazing game experiences it powers at E3 this June,” Microsoft’s Phil Spencer wrote in a post to Xbox Wire on Thursday. Microsoft’s spent the last week revealing details of what’s actually inside Scorpio: eight 2.3GHz cores (powered by AMD, though not with the new Ryzen chip), 40 Radeon compute units running at 1.17GHz ,12GB of GDDR5 memory, and a 1TB hard drive. Scorpio will be able to take advantage of AMD FreeSync 2-powered monitors as well, future-proofing the console for when the technology eventually arrives on living-room TVs. Microsoft also revealed images of the developer hardware to Gamasutra, with three USB ports on the front. Microsoft executives said they’re shooting for true 4K, 60 frames-per-second performance, and showed off a Forza demonstration to prove it. Now, apparently, it’s on to the games. If there’s anything that Spencer’s post lacks, it’s a mention of the words “VR,” “mixed reality,” or “augmented reality”. Microsoft touted Scorpio as VR-ready. We won’t know if that omission is significant, however, until June. Why this matters: Microsoft expects to launch Project Scorpio in time for this holiday season—in November, if it’s timed with other, previous launches. Expect to see Scorpio’s performance demonstrated on Forza or something similarly popular. The way to get gamers excited, though, is to sell them on the hardware—done!—as well as convince them that Scorpio, or whatever its name will be, will also have the titles that gamers will want to play.